We are pleased to announce the addition of 5 new brokers; Tom Craigg, CB Johnson, Danica Fletcher, Ilene Meyers and Lisa Tomak. Each of these individuals brings a diverse level of experience and knowledge to the team. 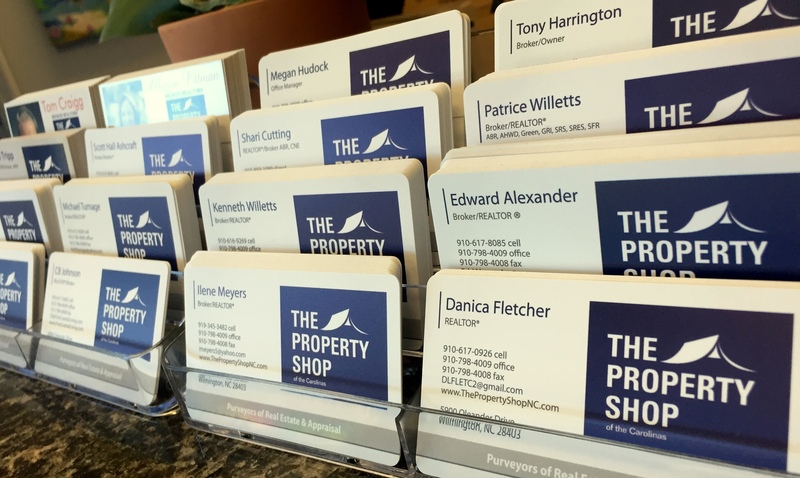 This growth allows The Property Shop to continue to provide the same, high-level, quality service that our clients have come to expect. Tom Craigg comes to the team with over 20 years’ experience in new home sales. Originally from Jacksonville, NC, he has been calling Wilmington home since 1982. As a real estate investor himself, he brings a wealth of knowledge on the buying and selling of homes and is eager to share this information with his clients. CB Johnson served for five years as an Officer in the U.S. Marine Corps before beginning his real estate career. He has been a full time REALTOR® in Wilmington for 12 years. Along with his commitment to his clients, CB has taught a variety of real estate classes. His wealth of knowledge on the industry helps him excel as he focuses on representing homeowners that are selling their property as well as anyone seeking to purchase a home. Danica Fletcher entered into the field when she decided to apply her insurance industry experience to real estate. By pairing her knowledge for Urban Planning with client contact and satisfaction, she has built a successful career as a REALTOR®. She enjoys all aspects of real estate from helping first time home buyers find that perfect first home to listing residential property for seasoned clients. Ilene Meyers hails from Brooklyn, New York and has 20 years of experience in the airline industry. In addition, she is a former Estate & Trust Specialist for Charles Schwab and a financial software trainer for the State of North Carolina. Her extensive experience with customers and finances combined with her enthusiastic attitude allow her to offer superior service to her clients. Lisa Tomak relocated to Wilmington from Michigan. She has over 25 years’ experience in customer service, including retail management, marketing and home improvement sales. In addition, Lisa is very involved with the community and volunteers with organizations such as Junior Achievement, Project Charlie and Boys and Girls Clubs of America. Lisa is eager to help make your home buying or selling dreams become a reality. Feel free to contact us or any of these brokers to learn more!